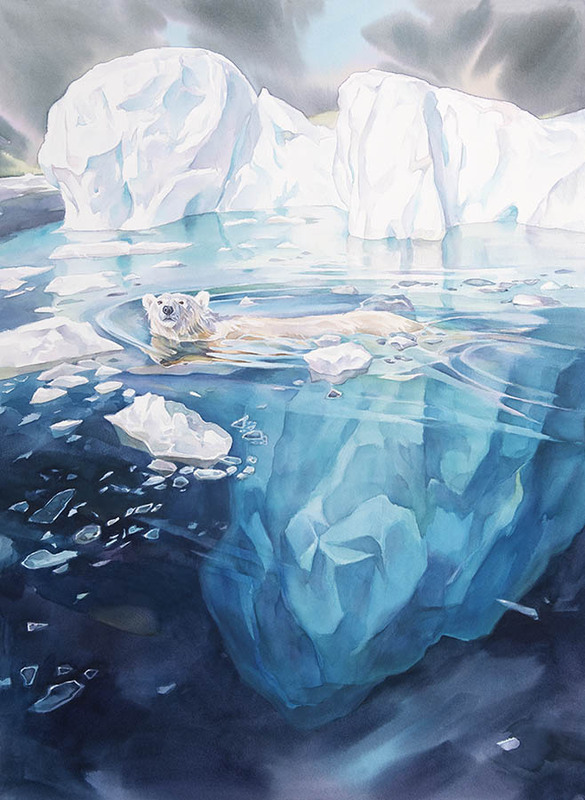 This past summer, I had the great opportunity to join One Ocean Expeditions in Svalbard for their Photo symposium and an “Art in the Arctic” program. Along with the accomplished UK artist Bruce Pearson, we organized art workshops and engaged with our fellow passengers, painting on the ship's outer decks and even during our Zodiac excursions. We had some fantastic polar bear, walrus and bird encounters while onboard the Russian vessel Akademik Vavilov. 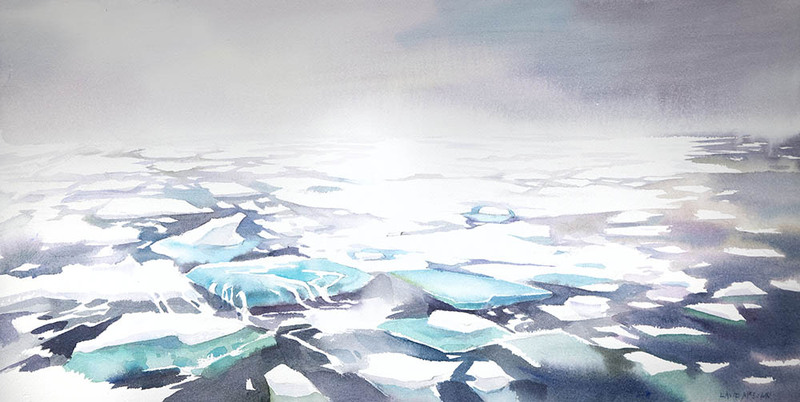 More paintings from Svalbard and other dynamic locations in the arctic are posted on my the Arctic page. Many thanks again to the team at One Ocean Expeditions for guiding us there! Enjoy the following video of highlights from our voyage.